This article may contain affiliate links which support this site at no cost to you. 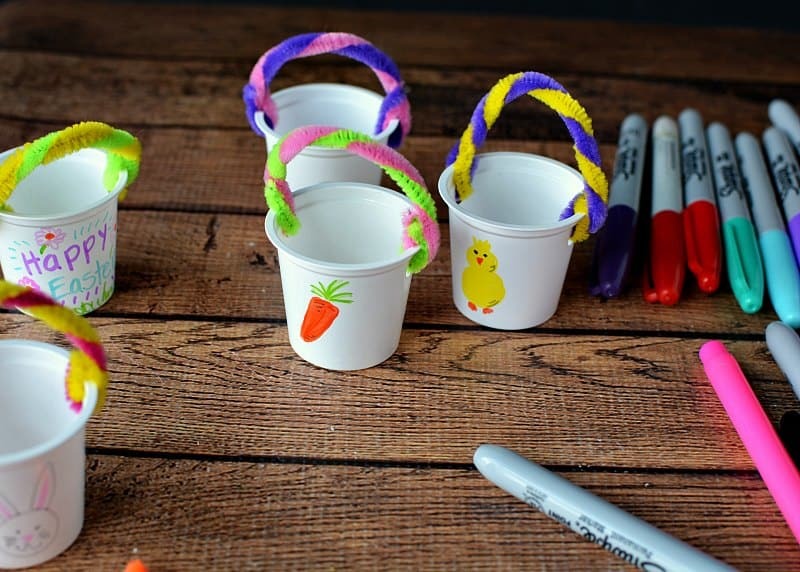 Recycle K Cups with this easy K Cup Easter Craft! 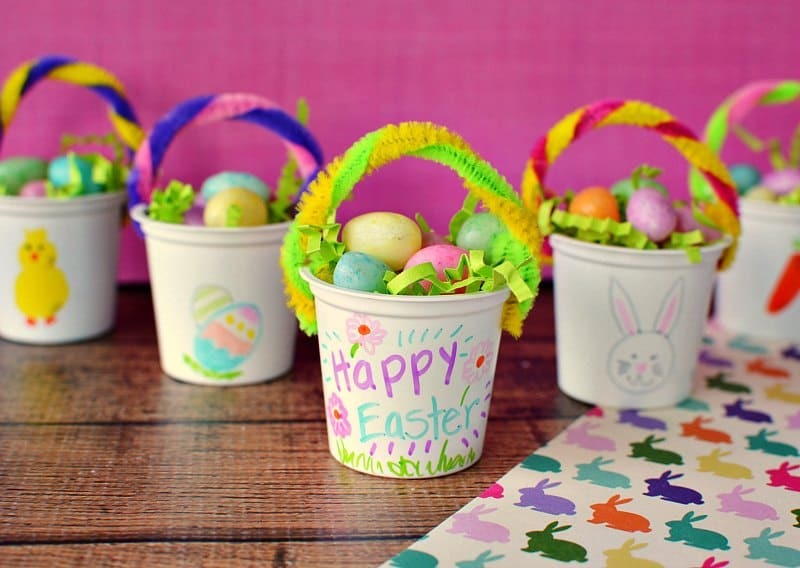 These adorable Easter basket crafts are great for party favors or decorations. My husband was telling a friend the other day that he didn't drink coffee until he met me. I'll admit, I was a little proud. I had to do a lab test that required me to not drink coffee for four days. It was tragic. So I have no idea how my sweet man survived without coffee (or me). I actually own two different coffee makers. My beloved Ninja Coffee Bar is the bomb. If you love coffee, you need one. And even though it makes single cups of coffee, I can't give up my Keurig. I recently downsized to a smaller Keurig coffee maker, but I just can't part with it. They are just so easy to use! That also means that I have a lot of K Cups and I hate throwing them away. Then I saw that you can make crafts with K Cups! Like these adorable K Cup Teenage Mutant ninja turtles! Or these cute little K Cup whales and even Pot of Gold treats for St. Patrick's Day. 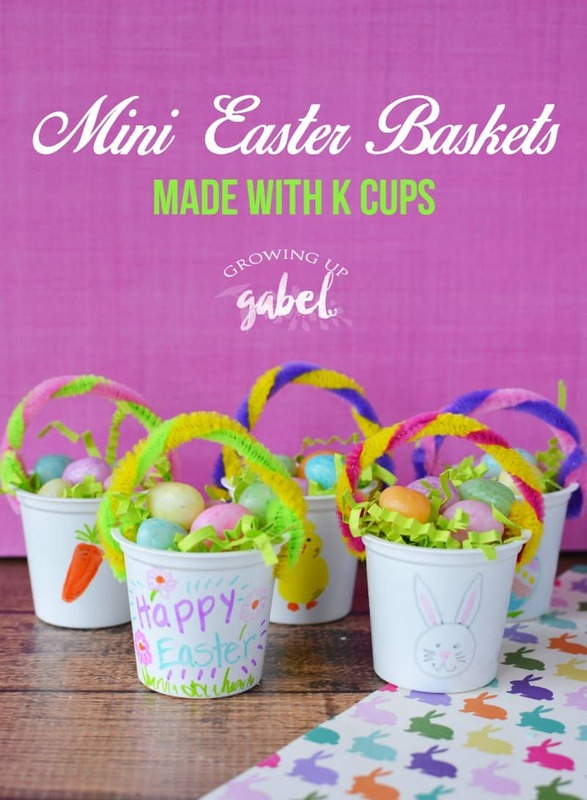 So we made tiny little Easter baskets. If you drink K cups, you probably already have all the supplies you need to make these. Except maybe the jelly beans! Start by using the single hole punch to punch holes on opposite sides of a K cup with a paper. You won't need any sort of a fancy special punch. A standard, one hole paper punch will work just fine. Next, cut the pipe cleaners in half. Twist two different colors together. 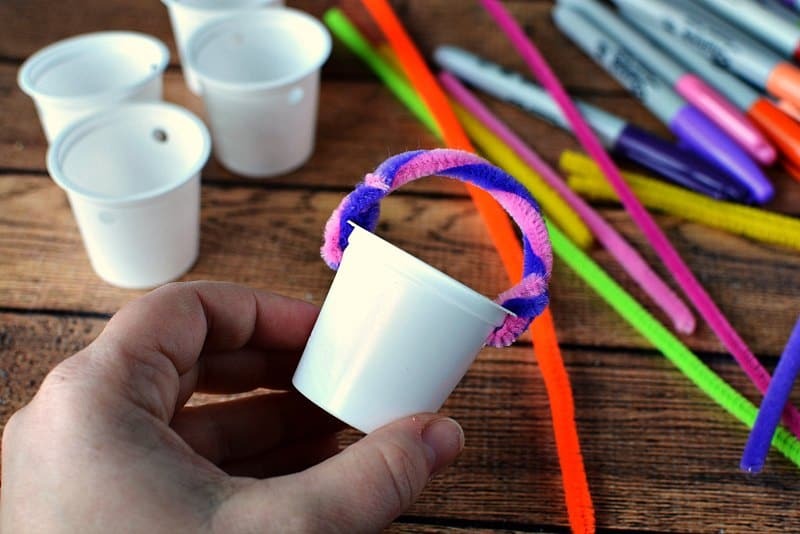 Fold one end of the pipe cleaner and insert it into the K cup hole. 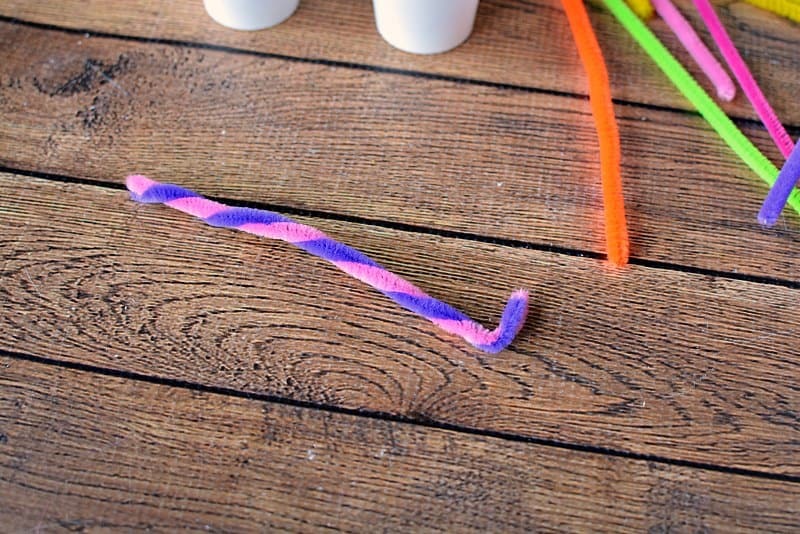 Fold it up and wrap it round the other piece of pipe cleaner to secure the handle. Repeat with the other side. Reshape the handle as needed. 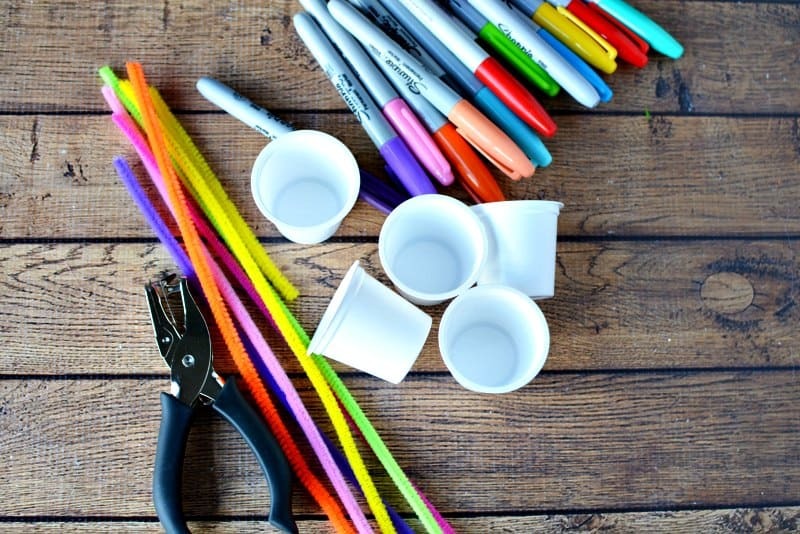 Use permanent markers to draw designs onto your baskets. For ideas and inspiration you can google “Easter doodles” for some simple drawings you can re-create. 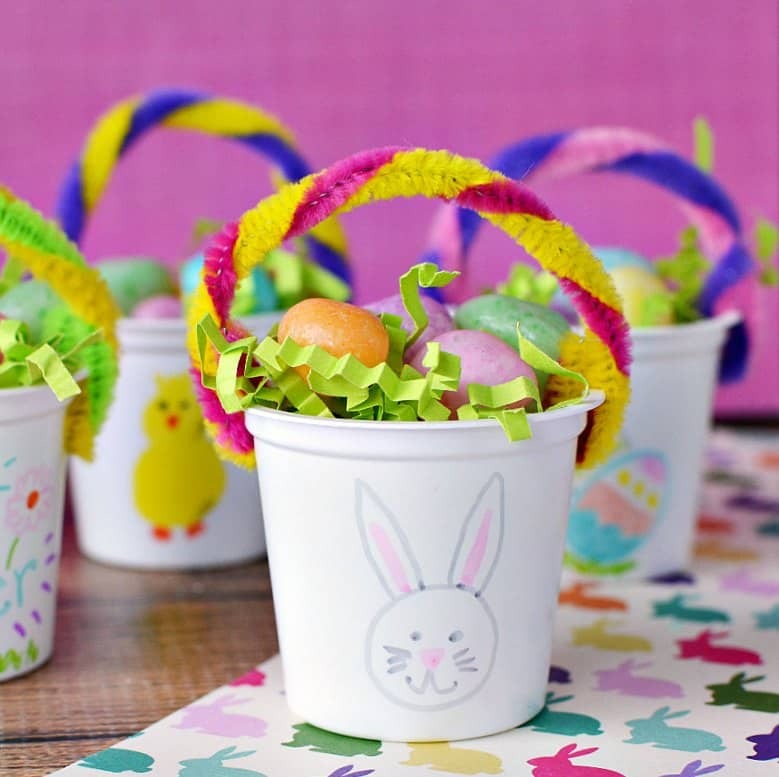 Fill each basket with Easter grass and jelly beans or candy. 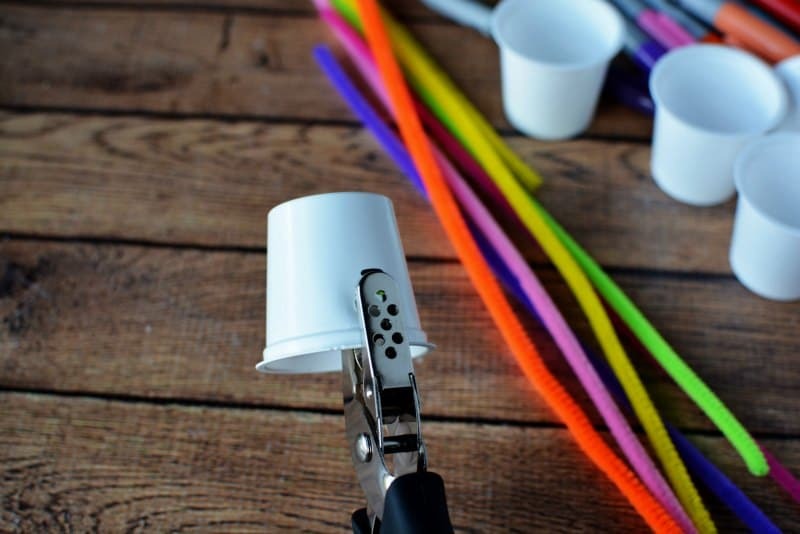 This is such a cute little craft to keep the kids busy, too! Hand out to neighbors, friends or use the baskets for Easter dinner. This article may contain affiliate links. Hello! 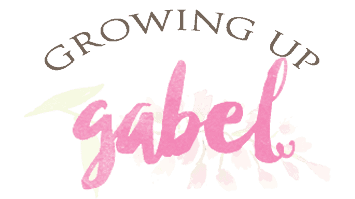 Welcome to Growing Up Gabel - I am so glad you are here! This is the place where I share recipes, crafts, DIY projects and real family life. I hope you will follow me on Facebook, Pinterest or Twitter! Just use the icons at the top of the page! OMG, these are just too precious for words. Thanks for sharing at Over The Moon Party. Hope you come back next week so I can stop by again. I hope you will also share at Thursday Favorite Things this week. Those are just adorable. Thanks for sharing his at the DI & DI Link Party. What a great idea Camille. These would be adorable for an Easter dinner. Thanks for the inspiration! Miss your posts on Sunday’s Best too. Thanks for stopping by our corner of the internet. 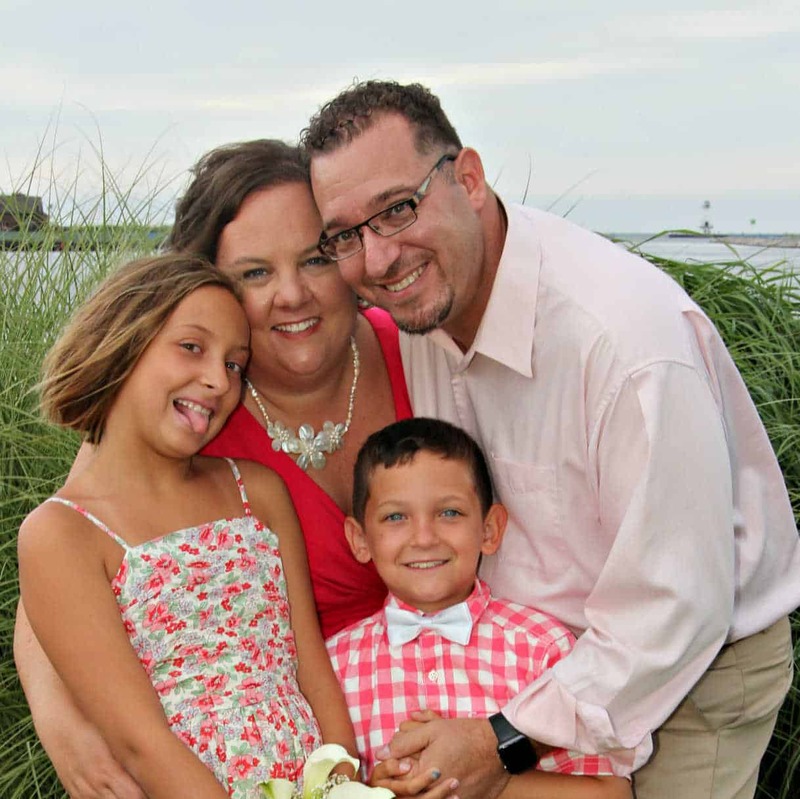 Our goal is to make life simpler for families so they have more time together to create memories.